If we’re looking at the title, it should be - more or less - about the front-end development. But while walking through the first corridor, we saw some weirdly looking cats staring at us from every T-shirt and screaming that we’re all mad here… Maybe they were right? Back to the point - it turned out that front-end talks were unfortunately only a small piece of the presentations during those two days. But hey, there were some very interesting talks! 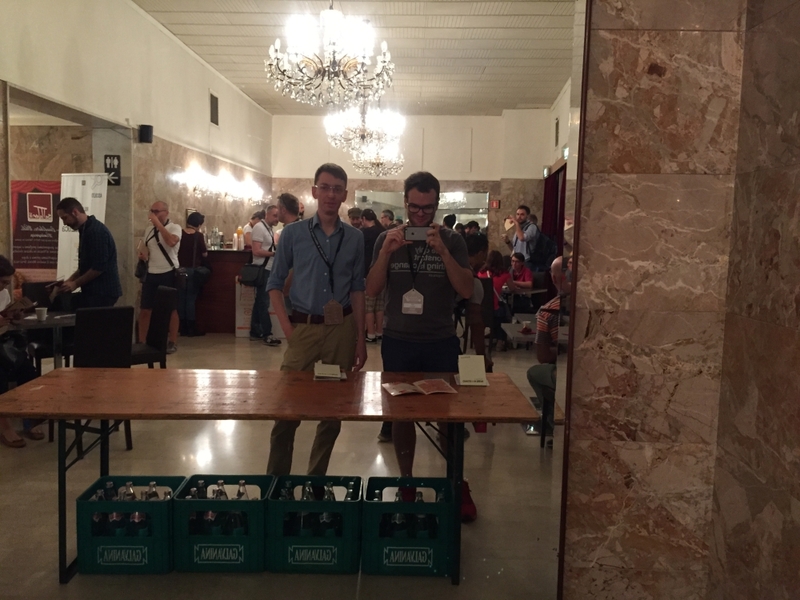 For both of us it was our first international front-end conference. Or maybe we should say "international" as a majority of participants were Italians. Although other participants were important and networking is the king, the main reason why we flew over 1000 km were the speakers (despite Italian food and weather of course!). And yes, diversity was easily noticeable within this group. We had a chance to listen to people from different countries, backgrounds, representing great organizations like Booking.com, Spotify and European Parliament to name just a few. 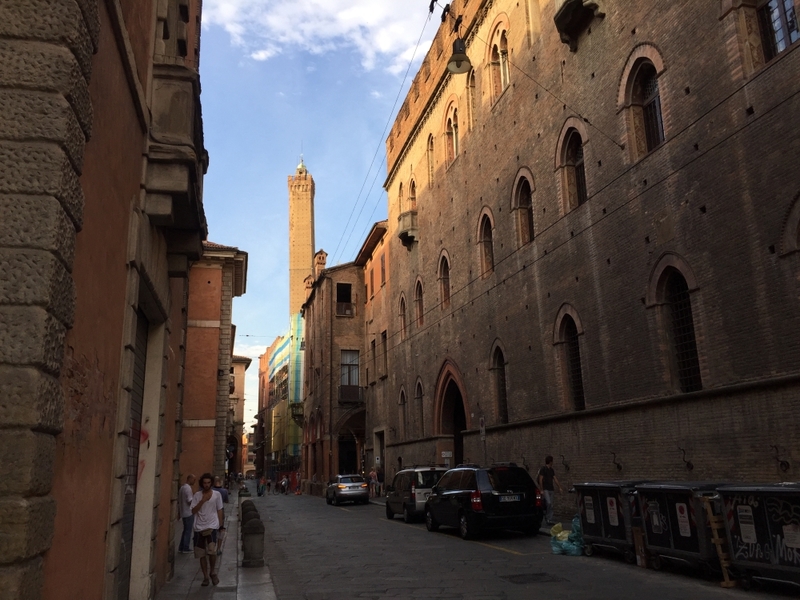 Everything took place in Teatro Duse, a theatre located almost in the city centre of Bologna, and referring to the title and the theme it looked like a perfect venue. Imagine we suddenly lost access to high-speed Internet connections and we’re forced to use EDGE or something even worse. Sounds bad? Agree. Waiting a couple of minutes just to see news or photos - not to mention videos - it’s not what we’re used to. But Tim and his team had to face this, literally. They had to build a website for people in countries with very limited access to information and technology. And what is a lot more shocking, where access to information is punished by death. The talk was mostly about optimization of content delivery. Tim presented a lot of tricks that could help us build better websites. We saw how to plan our performance budget, how to optimize our graphics and code - to deliver content as fast as possible, but still, using nice, clean designs. It’s really awesome what they achieved - you can check it here: Radio Free Europe/Radio Liberty. To be honest, I didn’t realize how many people have very limited access to the Internet and can use only poor 2G connections. Never thought about that this way and this talk significantly changed my attitude. This really changes the point of view when planning new website or application. So if you want to reach everyone - you have to take it into consideration. Even though Flexbox has been around for a while now, I haven’t had many opportunities to work with it so far. I was kind of waiting for a right (probably new) project whose stakeholders would be open enough for something new and would let me introduce them to the amazingness of Flexbox. The main thought I got after this great presentation was “I was so wrong”. Flexbox is here, ready for you to use it. It doesn't actually matter if you are working on an old browser supporting project or a cutting-edge React based revolutionary application. Zoe Gillenwater showed us how easily you can manage fallbacks with Flexbox code. You don't have to re-write the whole project from the scratch. The great thing about Flexbox is that you can use it just for components here and there and step by step write more and more code based on it. 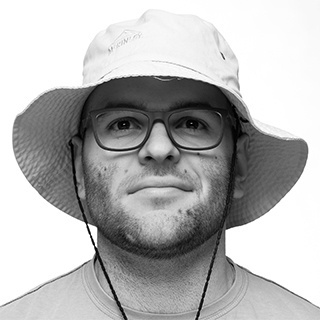 You may ask, “but is it all worth it, this Flexbox thingy” - check Dimitar Stojanov post and see for yourself. Check out the whole talk in this video. 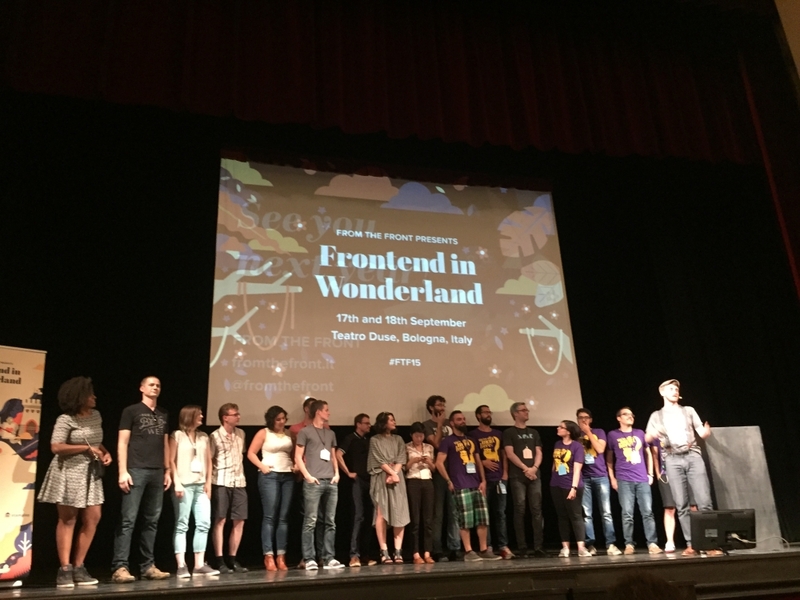 Basically, it wasn’t a talk directly related to the frontend but it’s really worth mentioning. James showed us how important is privacy, basing on some nice examples. We also learned a lot about security (lack of security to be more precise) when using public wi-fi networks, and how to prevent stealing our sensitive data. James also described, in really simple words, how encryption works and why we should use it. During this talk, I learned a really important thing - how to protect my data against unauthorized access. Oh well, let me be honest with you. We were expecting a lot from Harry Roberts’ presentation. Let's make it clear. Going there, we were expecting meat. Personally, before coming to Italy, I assumed that this is going to be the best talk from all. Yep, now I know how wrong it is. But let me tell you this. Harry Robert didn't disappoint us not even a tiny bit. The talk was based on... a theft. You're right, a theft. Harry came with a brilliant notice. Front-end as a discipline is super young compared with programming in general. And as we all know, programmers are super smart people :) so why can't we use things they invented during over last 50 years? Why do we have to make mistakes when we can learn from mistakes of others? With this great thought in mind, Harry introduced us with several principles of software engineering and taught us how we can apply them while writing our CSS of all kind. If that sounds interesting, you should definitely check his slides. Still we would strongly recommend you to go and see the guy on stage - it is worth it. 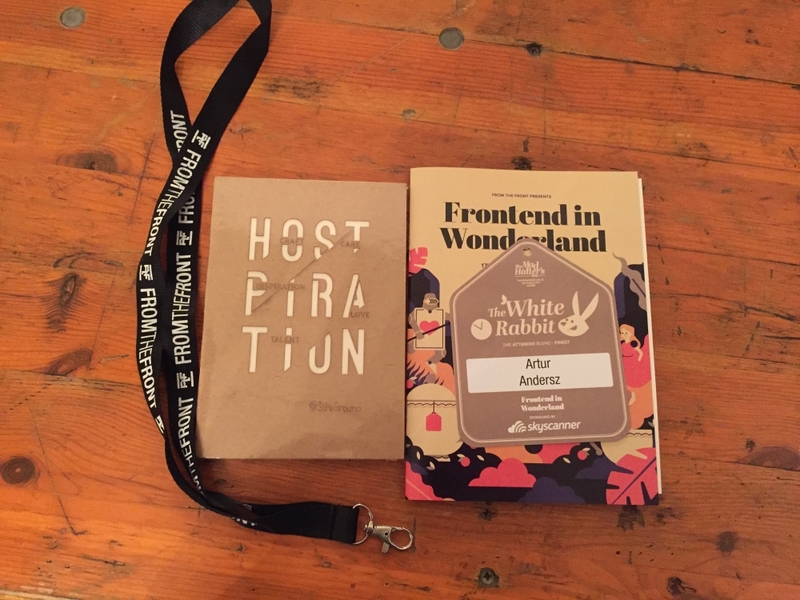 Have you attended Frontend in Wonderland? What are your impressions? We hope you enjoyed our short recap!